Finding a mattress that’s both comfortable and supportive is tough. 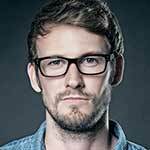 How can you keep your body aligned and still get that soft, hotel-feel with your own bed? The folks at Aviya Mattress wondered the same thing. So they made their own mattress. The heart of Aviya is all about the customer. They created the bed of their dreams, and then they sold it online. 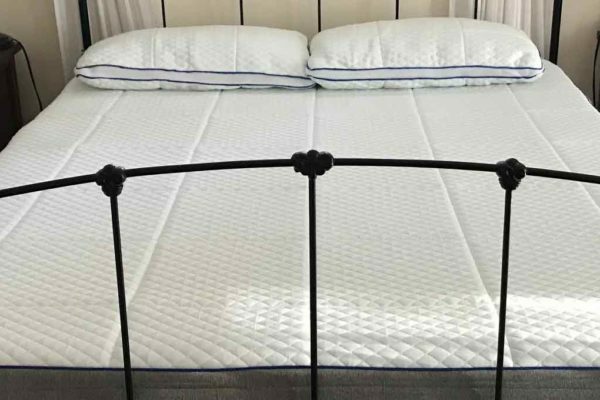 Using the main styles of bed construction, foam, and innerspring coils, the Aviya beds are made for the customer, by a fellow customer. To offer a luxury bed at affordable prices, Aviya sells their beds exclusively online, eliminating the middle man. 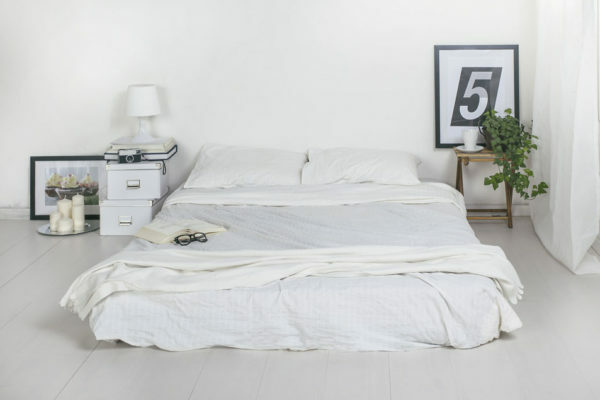 Don’t hesitate at the idea of buying a bed without actually trying it out first. Aviya’s 100 day trial period makes it so you have nothing to lose. Firm – described as sleeping on the bed as opposed to in it. Plush – described as sleeping in the bed as opposed to sleeping on it. Luxury Firm – somewhere between Firm and Plush. I went with the Plush because I wanted to see if the inner springs would still support my posture. The beds are made with two levels. The top level is a combination of 3 different layers of high-density foam, and the second level is a component of individually wrapped innerspring coils. 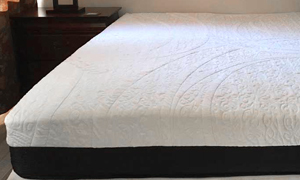 At the center of the mattress, the springs are very compact to keep the mattress from sagging. Good idea. I loved the Plush mattress. It had a firmness that didn’t make the whole bed move if I turned over, but also kept me snug. One detail I liked was that the foam was solid at the edges of the mattress, so it I never felt like I might roll onto the floor, which is a weird sensation I’ve had with other foam mattresses. That being said, it was a very soft mattress. If you are at all unsure about what type of bed you like I would probably stick to the Luxury-Firm which is the middle ground bed. The best part about ordering a plush mattress with Aviya was the innerspring support. Springs provide a level of support I haven’t found with full foam beds. 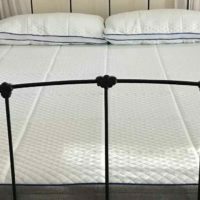 I found no aches or pains with the Aviya Mattress for the entire time I tried them out. 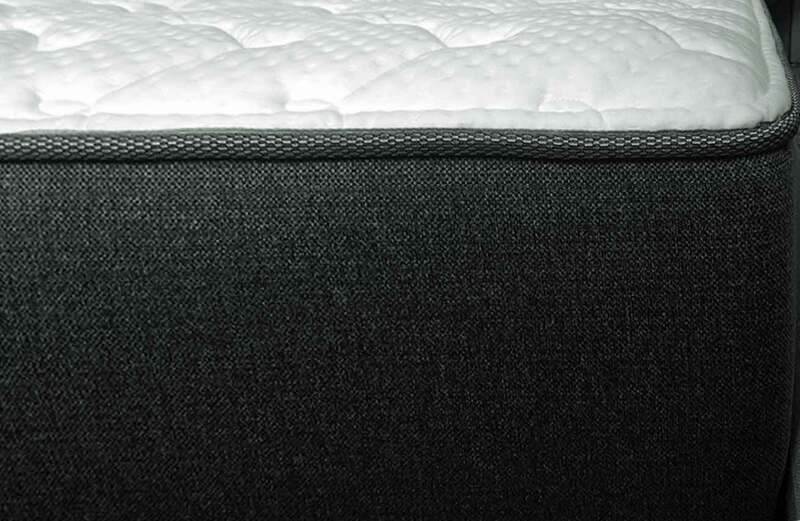 Avaya uses innersprings and a top cooling foam layer to ensure that the sleeper is comfortable. These elements work very together to provide the sleeper with a ideal temperature through the night. Since Aviya deals directly with their customers, their high-quality beds are a good value. Aviya also offers white glove service to customers who want to avoid heavy lifting. $99 will pay for delivery and setup of the Aviya mattress into your home. Don’t worry, the white glove service is completely optional. If you don’t mind heavy lifting delivery of the mattress is completely free. You don’t get to “test” the mattress before it arrives at your home. You are unsure of what you like in a bed and order the wrong kind of mattress. This bed is ideal for a sleeper who knows what they like. Aviya mattresses offer a great high-quality, affordable product. Since they’re so easy to buy and easy to return, there’s no reason to give the mattresses a try, even if you can’t test it out first in person. Check out the Aviya Mattress for yourself and save $75.